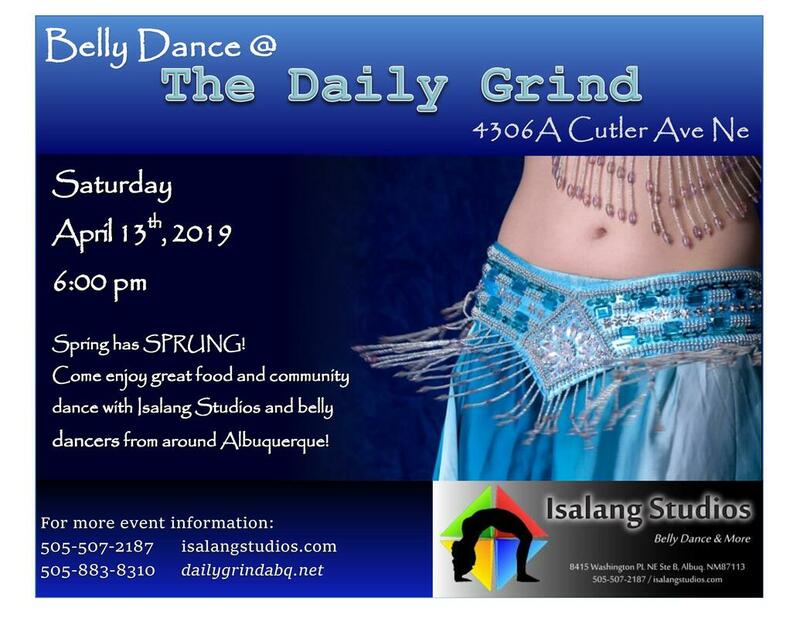 Isalang (ee-sa-long) - Tagalog for "one"
A Belly Dance centered studio offering an in-depth, personalized, technique-based learning environment for experienced belly dancers and brand-new students alike, as well as competitive space and sound equipment rental opportunities. Our mission is to elevate awareness of the body's abilities through “isolation”, the cornerstone of belly dance movement, and expand performance opportunities for students, beginners to seasoned, throughout the local community. Former co-founder of Isalang Belly Dance Troupe, Natalie has been belly dancing since 2006, studying technique, cabaret & fusion, initially under Eric Salazar, and is proficient in "muscle isolation," the technical foundation of belly dance. Finding new ways to have fun with dance, seeking to further hone technique to blend movement and sensuality at higher levels, along with a wonderful ear for music, a history in vocal performance, a decade of swing dancing and other various ethnic and ballroom styles, training in the "art" of teaching the person not the subject, she fuses skill, experience and innovation to chase that ever-elusive goal: Embodying music through time and space. Natalie is addicted to hosting haflas, producing shows, teaching dance and performing whenever time (and kiddos) allow! Workshops and classes taken with other Instructors: Sadie Marquardt and Kaya; Ava Fleming; Bastet "Goddess of the Fans"; The SHIMMY QUEEN, Leyla Jouvana; Zoe Jakes; Mardi Love; Rachel Brice; Ashara; world-renowned native Egyptian drummer, DJ, and folk dancer﻿ Karim Nagi! WHERE CAN YOU WATCH US DANCE?